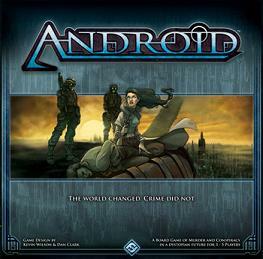 Android`s innovative mechanics ensure that no two detectives play alike. Will you play as Louis Blaine, the crooked cop tormented by guilt and loss? Or will you take the role of Caprice Nisei, the psychic clone who struggles to retain her sanity while proving she`s just as human as anyone else? Whomever you choose to play, you`ve got just two weeks to solve the murder, uncover the conspiracy, and face your personal demons. Better get moving, detective.